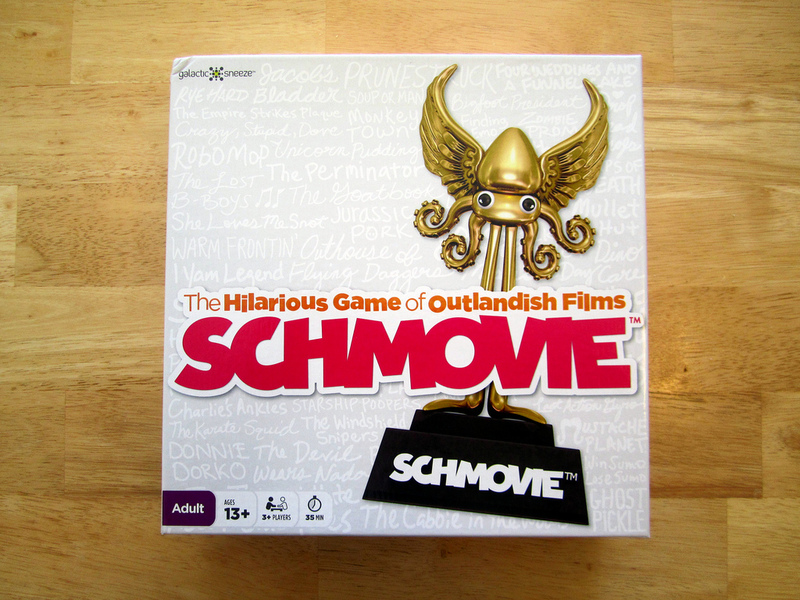 Schmovie is the hilarious game of outlandish films and we get to talk to the people who made it. Then we dive in and play Schmovie with our friends Carrie and Chris. The usual hilarity and inappropriateness ensues. Also, big thanks to Sara Farber and Bryan Wilson of Galactic Sneeze for talking with us about their game. You can find more at schmovie.com. Love the game!! Have played with family and friends and the laughs kept coming!! Looking forward to this weekend for another go round with this thought provoking, mind tickling game! !